The Institute on the Common Good at Regis University serves the community at-large by promoting the common good and providing a safe and effective space for community dialogue, communal discernment, and public deliberation. Since the Institute was founded in 1998, we have endeavored to help individuals and groups engage one another more effectively as they seek to forge their common destiny. 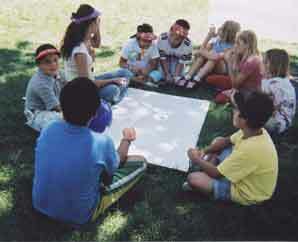 Unlike institutes that focus solely on research and analysis, the Institute is unique in that it actively partners with groups engaged in community life. These projects take many forms and include public and private dialogues, initiatives, educational programs, speakers, and collaboration and partnerships with a large variety of civic and social organizations. One of the core tools of the Institute is community dialogue. Dialogue builds trust and helps groups to better work together by finding common ground or shared meaning. We participate at the request of community groups. Some of these dialogues are private and confidential while others are open to the public and still others are somewhere in between. The Institute provides a variety of resources, including trained conveners, space and consultation. A series of dialogues on issues surrounding homelessness that we designed and supported for residents and other community members within the Capitol Hill United Neighborhoods is just one example. More recently, we have worked with members of the evangelical Christian church and the Church of Jesus Christ of Latter-day Saints on interfaith dialogue. For the promotion of the common good, it is essential that citizens become actively engaged in their communities. As a result, the Institute also supports a variety of initiatives that seek to increase citizen engagement in community issues and allow individuals to actively deliberate together to choose from a variety of possible alternative paths. 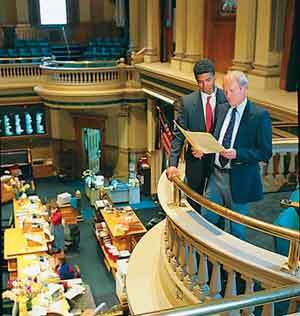 In 2008, we collaborated with Colorado’s Future and Club 20 to design a series of statewide dialogues on amending the Colorado constitution and continue to work with these groups to bring numerous voices into the conversation regarding the future of our state. In keeping with Regis University’s educational purpose, the Institute provides educational opportunities for the community to learn about social and civic issues and to explore the meanings and implications of seeking the common good. By providing panels, forums, workshops, and speakers, we create opportunities for members of the community to become better informed.